Kimi Raikkonen girlfriend (as far as we know she is not yet his wife) is Minttu Virtanen. Former stewardess and fitness addict, Minttu had a baby with Kimi named Robin. 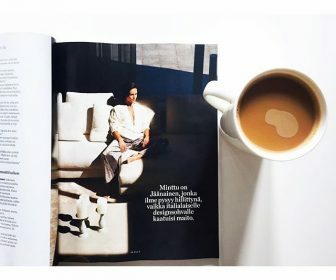 Minttu likes a lot the fashion world, so now she has a blog where she posts photos with her different outfits, some fitness advice and the trips that she makes with Kimi Raikkonen following the F1 Championship. She has made some fashion campaigns with premier brands as Adidas, Triumph, and usually features in the cover of fashion magazines in Finland. She is addicted to fitness, and also addicted to fashion, and is a confessed customer of the French shoes designer Christian Louboutin. 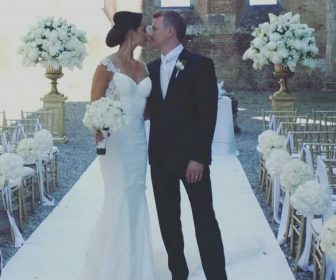 Today Minttu Virtanen and Kimi Raikkonen got married in Italy. Kimi is a Finnish motorsport driver. He was born in Espoo on October 17th 1979. His career in F1 began in 2001 when Peter Sauber signed him for his team. In his first race, the 2001 Australian Grand Prix, he got the 6th position. From 2002 to 2006 he got a seat in the McLaren team where he had 2 second positions in the world championship in 2003 and 2005. For the 2007 season he signed with Ferrari to substitute Michael Schumacher. His team mate was Felipe Massa that season. He was F1 world champion in 2007 with Ferrari. In the 2009 season ends his contract with Ferrari, and he decides to leave F1, where he had not good results, to participate in the World Rallies Championship with Citroen. He got a 5th position in the Turkey Rally. The following season he tries with NASCAR, with no relevant results. In 2012 he came back to Formula 1 with the Lotus team where he gets really good results that season and in 2013. In 2014 he comes back to Ferrari. 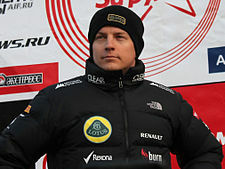 About his personal life, he was married with Jenni Dahlman until 2013, and in 2014 he began a relationship with Minttu Virtanen. They had a baby called Robin.